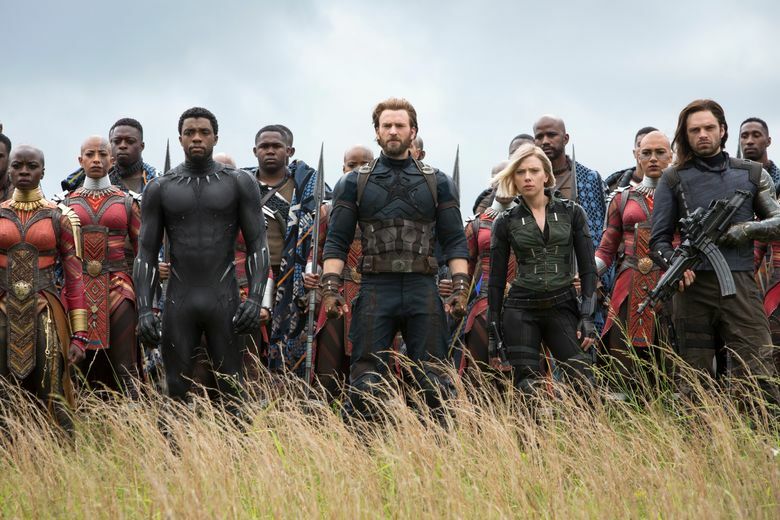 The movie features dozens of major characters in service to a story that’s simultaneously every superhero movie ever and, for those who aren’t obsessive readers of the comic books, a bit confusing. But the impressive cast is always a pleasure to watch. Rating: 3 stars out of 4. 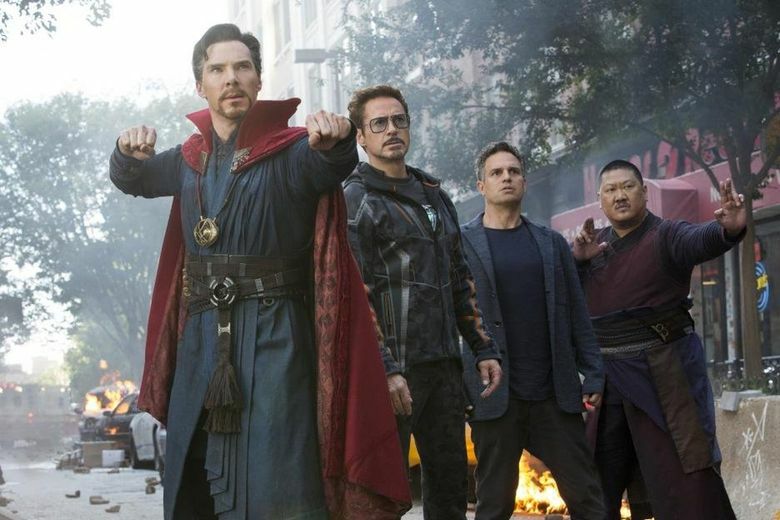 The Marvel Cinematic Universe has been on a bit of a roll lately, with the delightful “Spider-Man: Homecoming,” the quirky “Thor: Ragnarok” and the sweeping “Black Panther.” “Infinity War” is an ever-so-slight step back; it’s filled with moments that click, but it just feels too big. There are literally dozens of major characters (you pity whoever had to fit all of these A-list names onto the poster), in service to a story that’s simultaneously every superhero movie ever and, for those who aren’t obsessive readers of the comic books, a bit confusing. 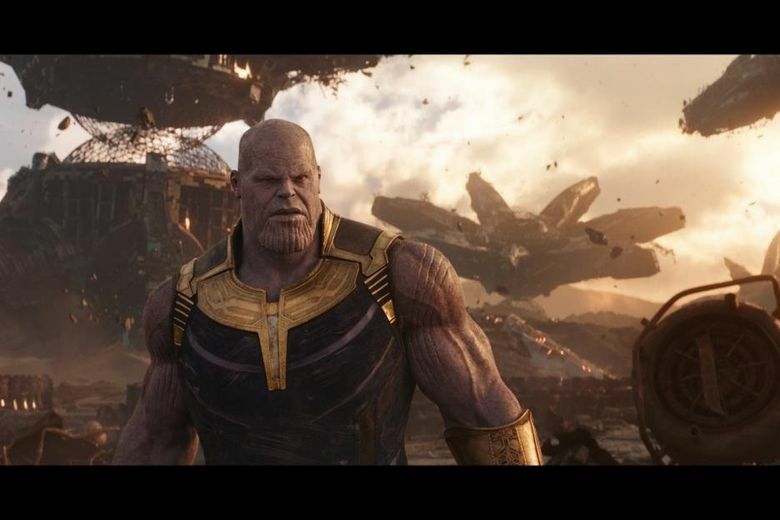 In a nutshell: Thanos (Josh Brolin), the aforementioned big-chin dude, is a villainous and faintly grape-colored Titan warlord bent on acquiring all six of the Infinity Stones (just ask your favorite Marvel aficionado to explain these) and ruling the universe. (Yes, this enormous movie is, at its core, about jewelry.) Every superhero in said universe, summoned from their various locales, is equally determined to stop him. I don’t want to give away much more than that; much of the fun of “Infinity Wars” is seeing how things unfold and what alliances get formed. (Turns out, not all superheroes know each other.) Suffice to say that there’s a thrilling large-scale battle scene, and a lot of slightly less-large-scale ones, and that the film’s final 15 minutes or so have a genuine, unexpected emotional resonance. 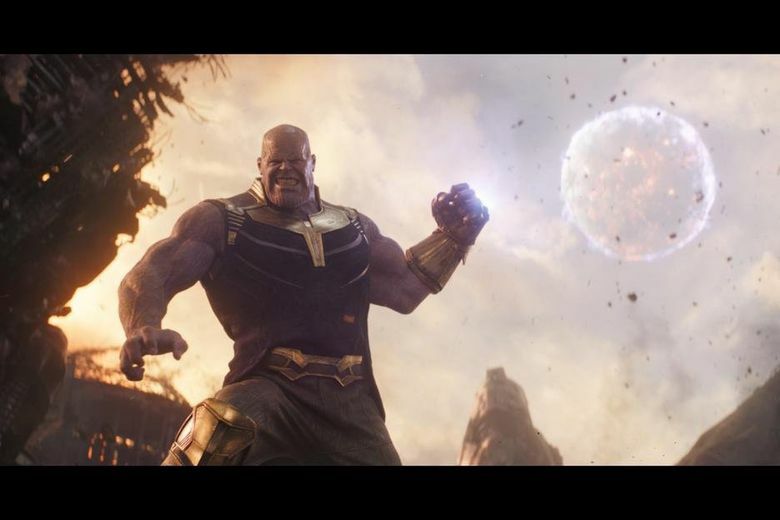 The mood’s mostly pretty dour, which leaves the audience particularly grateful for those who provide comic relief: Dave Bautista’s growly Drax, who in one scene is practicing the underappreciated art of standing really, really still; Tom Holland’s chipper Peter/Spidey, taking it all in with wide eyes; Robert Downey Jr.’s ever-grumpy Tony Stark/Iron Man, who’s pretty sick of Peter’s pop-culture references (particularly “a really old movie called ‘Alien’”). But the impressive cast is always a pleasure to watch, whether it’s Benedict Cumberbatch expertly wrangling his Dr. Strange cape or Mark Ruffalo’s Bruce Banner struggling to release his inner Hulk. The scale of it all means pretty much everyone gets short shrift — I was especially disappointed to see a potential battle scene involving a group of badass women warriors cut off almost before it began — but nonetheless, those two-and-a-half hours zoomed right by. Be sure to stick around, empty popcorn bag in hand, for the post-credits scene, which left me wanting another sequel. Preferably tomorrow. 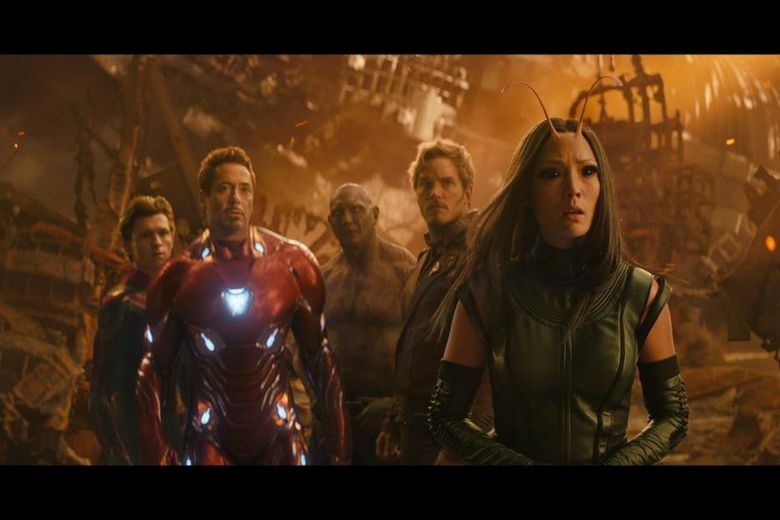 ★★★ “Avengers: Infinity War,” with Robert Downey Jr., Chris Hemsworth, Mark Ruffalo, Chris Evans, Scarlett Johansson, Don Cheadle, Benedict Cumberbatch, Tom Holland, Chadwick Boseman, Zoe Saldana, Karen Gillan, Tom Hiddleston, Paul Bettany, Elizabeth Olsen, Anthony Mackie, Sebastian Stan, Idris Elba, Danai Gurira, Benedict Wong, Pom Klementieff, Gwyneth Paltrow, Benicio Del Toro, Josh Brolin, Chris Pratt. Directed by Anthony and Joe Russo, from a screenplay by Christopher Markus and Stephen McFeely. 156 minutes. Rated PG-13 for intense sequences of sci-fi violence and action throughout, language and some crude references. Multiple theaters.